Craig Campbell, PhD DipEd University of Sydney This entry posted December 5, 2013 . This reform was supported by the introduction of systematic teacher training and education, especially for those employed in public schools. No training at all, and apprenticeship training gave way to more theoretical and academic teacher education in a range of institutions including model and pupil teacher schools, teachers colleges and later, universities. This entry essays the introduction of classroom teaching methods, the impact of the New Education, and the alternative or progressive teaching methods that emerged thereafter. As in the entry Teaching and pedagogy (1), five questions are asked of the two main pedagogic approach discussed here. What theory of how a child or youth learns is being engaged? What is the teacher’s role in the learning plan? What texts and apparatus assist the teaching? What kind of school architecture is required? What are the main social assumptions associated with this approach to teaching? The study of pedagogy, knowledge about teaching theory and method, became a significant study in teacher training. It eventually incorporated the study of educational history, philosophy and psychology along with courses that linked school experience and curricula to managing classrooms. Early and popular texts on pedagogy included those by F. J. Gladman (1839-1884), namely his School Method (1877) and School Work (1886). Gladman was an influential advocate of the post-monitorial teaching methods that rested significantly on classroom teaching. He had been headmaster of the prestigious Model and Practising School, part of the Borough Road Training College in London, before coming to Australia in 1877 to take charge of the Training Institution in Melbourne. Even earlier in New South Wales, another educator from England, William Wilkins (1827-1892), helped establish post-monitorial pedagogy for National and then Public schools. Wilkins had attended the pioneering teacher education institution, the Battersea Training School for teachers in London while it was led by James Kay-Shuttleworth (1804-1877). While in Australia Wilkins published his Art of Teaching (1853) drawing on Kay-Shuttleworth and the increasingly influential Swiss reformer, Johann Pestalozzi (1746-1827). Wilkins was the first of many powerful leaders of public education systems in the Australian colonies. The means by which these leaders disseminated new ideas about pedagogy included conferences, school and teacher inspection, the production of textbooks, increasing the length of teacher training and wide distribution of official education gazettes. By the twenty-first century there were extensive university courses in teacher education. Furthermore the development of teacher registration and staged ‘teacher standards’ at state and national levels provided a powerful incentive to teachers to improve their pedagogic skills. Without the meeting of the new ‘standards’, intending teachers were less likely to be appointed to schools, and established teachers to be promoted. How teaching occurs is never simply a question of the straight-forward application of a theoretical method. The social character of schools, the prior learning experiences of students, the means by which teachers are judged successful, and the requirements of student assessment, and more, each powerfully affects pedagogic practice. In the early twenty-first century the introduction of high stakes national testing, and the judging of teachers and schools as more or less successful, mainly in terms of their students’ literacy and numeracy standards, has become a further incentive for teachers and schools to improve, and sometimes more narrowly focus their pedagogic effort. The main tests are referred to under the acronym Naplan (National Assessment Plan). The MySchool website publishes the nation-wide comparative results. This form of mass education was systematically introduced into the Australian colonies from the middle of the nineteenth century. It remains the core teaching method through to the present day, although a wide variety of other learning and teaching activities and methods occur in association with it. The key characteristic of the class or simultaneous method is that classrooms replace whole of school schoolrooms as the site of instruction. In each classroom there is a teacher, usually trained, who is responsible for a class of students. Pupils are usually about the same age and share prior learning attainments (Figure 1). Instruction or teaching a whole group the same curriculum at the same time can occur although advocates of the method such as Gladman usually insisted that teachers provide assistance for those falling behind, and in some cases, those capable of advancing faster than the group. The class method was ‘simultaneous’ because in a large school there might be several classes with their own teachers, all working on the same curriculum at the same level, the same assessment plan, the same timetable, and so on. Under these circumstances the head teacher, and, well into the twentieth century, inspectors, had the job of coordinating the work of teachers, and ensuring that common educational aims were met.Students in such classes tended to be graded by age and proficiency. This method required many more teachers than under monitorialism, and the cost was considerable. In government education departments, young single women, paid less than their male counterparts, began to compose the majority of teachers in elementary and primary schools. Initially the teacher training associated with the new methods remained mainly apprenticeship-based. Pupil teachers were appointed to schools in the second half of the nineteenth century. They not only had heavy teaching loads but were required to study centrally prescribed teacher education syllabuses that could lead to permanent teacher appointments, in the public schools at least. 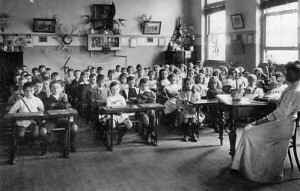 By the early twentieth century pupil teachers were becoming junior teachers, and greater periods of time were spent in teacher training schools and colleges before appointment to schools. Textbooks grew in importance, and in education department schools they were usually prescribed centrally. Timetables and syllabuses, and ‘standards’ requiring to be met at different levels became ubiquitous. William Wilkins (see above), the founding principal of the Sydney Fort Street National School (1850), and then the chief executive of the National School Board and its successors is the educational leader most associated with the introduction of this method of teaching and organising schools. By the end of the nineteenth century, especially where payment by results (see glossary) had been introduced in the different colonies, the new system was regarded by its critics as authoritarian, uncreative, oppressive to teachers and pupils alike, and resting far too much on memorisation of textbooks and rote learning. Classroom or simultaneous teaching need not have developed in this manner. 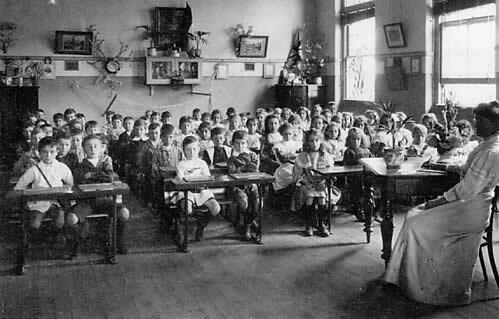 The effort of creating great government bureaucracies to implement the colonial education acts of the 1870s, providing compulsory elementary schooling, appeared to demand rigid controls over teachers, curricula, student assessment, grade promotion, and school routines. Progressive methods associated with the New Education movement (see below) did not do away with class or simultaneous teaching. Rather they sought to reconceptualise the idea of what ‘good’ teaching was, and dramatically increase the range of activities by which young people could learn in more natural settings and ways. From the late nineteenth century, arriving mainly from the England, the New Education movement became influential in the Australian colonies. It was important because it developed an alternative idea of the child as a learner instead of the old metaphor, the child’s brain as an empty vessel waiting to be filled. The idea that children were best thought of as active learners, that by doing rather than memorising, they learnt best, was not new. What was new was that an increasingly significant group of educators and those interested in education became politically effective. The ideas were consolidated into a reform program (see Selleck, 1968). 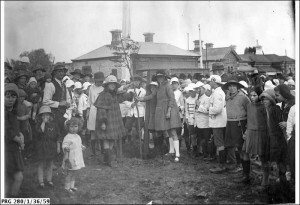 A crucial event that resounded across the Australian colonies, not just in New South Wales, was the fiery speech made by Professor Francis Anderson of the University of Sydney in 1901. He insisted that the colonial education system was not the best in the world. He argued that teachers should be freed from oppressive inspection, and rigidities of teaching method and assessment. He argued that the continuing impact of rote learning and memorisation without understanding was intolerable. What good did it do if a hundred children learned their geography like parrots: “New Guinea—North of Australia—birds of Paradise—gold”? Anderson was not the only harbinger of classroom teaching reform. Another significant voice somewhat earlier was that of William Catton Grasby whose similar criticisms were likely stymied by the effects of the 1890s depression. In practical ways, women were at least as effective as the men associated with progressive and the New Education. Many middle class women had been taken by the idea of the kindergarten by the beginning of the twentieth century. 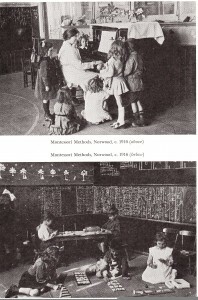 Advocates of the ideas and methods of Friedrich Froebel (1782-1852) and then later, Maria Montessori (1870-1952), went the furthest in teaching and pedagogic reform. For them, play with carefully planned gifts and other apparatus, could free the child for naturalistic learning. Schools and teachers should work to create environments where children could learn by making, doing, experimenting, moving, singing, dancing and talking. These ideas had been around a long time, but turning them into a prevailing practical discourse for every-day mass education took a huge effort. In the process, the teacher was to become less didactic, and more of a creator of learning environments, more of a friend to the child, a more subtle educator, someone able to engage and focus the ‘natural curiosity’ of the child towards a teaching/learning object. The child became more ‘precious’. The teachers who were most successful at this approach earliest were usually the ‘kindergarten’ teachers. Their classrooms were ‘gardens’ (‘garten’) for children (‘kinder’). Children’s bodies were freed from the containment of desks and infant galleries. Classrooms became inviting spaces, often cluttered with the creative work of children and teachers. There was a ‘feminisation’ of teaching spaces (Figure 2). 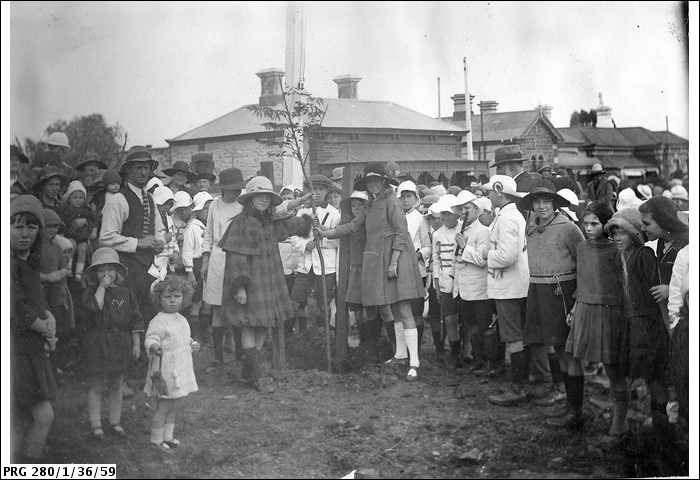 Pioneers such as Lillian de Lissa (1885-1967) had significant Australian and international careers, especially in training generations of kindergarten teachers. The older ‘object’ lesson, where children contemplated and maybe handled something real, perhaps from nature, developed into outside-the-classroom work and excursions. There would be laboratory work in the sciences, and nature study and gardening, where children again interacted with and learned from the ‘real world’. 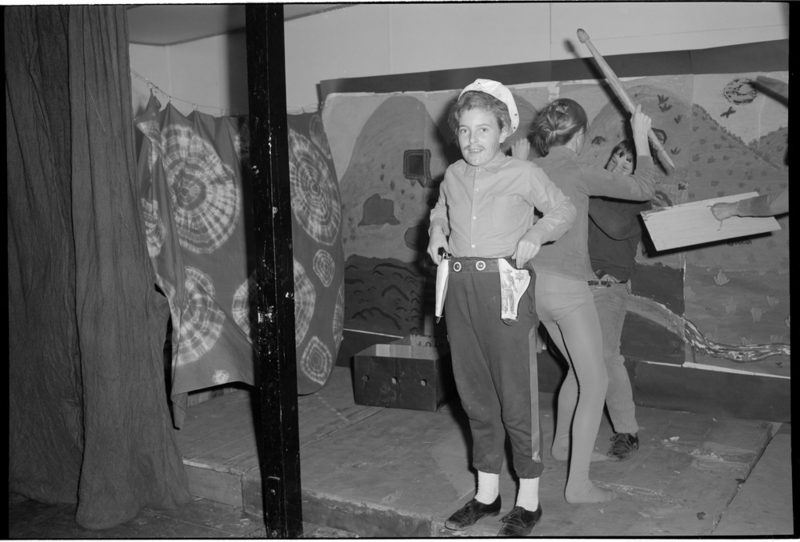 For older children there was the development of the ‘project’ method and then the more ambitious Dalton Plan, where children were encouraged to take control of their own learning. The ideas of the North American educator Homer Lane (1875-1925) about schools being governed by children were also influential in the 1920s. 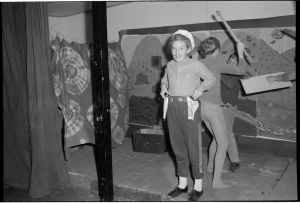 Artistic expression through drawing, painting, dance, writing and more was increasingly encouraged. As for physical education, beginning its life as near-military drill, the constraints of rigid rules on what to do and how to do it gave way to a new spirit based on physical development and fitness, personal skills and good health. These approaches invariably improved the lives of school children. Teachers though were required to be more independent and creative in their planning of lessons. While it was true that the New Education became the official and approved approach for schooling, especially in public schooling from the early twentieth century, the practical implementation in classrooms across the nation was slower. It was one thing for the early twentieth century directors of public education such as Peter Board (1858-1945), Frank Tate (1864-1939), Alfred Williams (1863-1913), Cyril Jackson (1863-1924) and William Neale (1853-1913) to advocate the New Education. It was another thing for inspection of teachers, the central prescription of school syllabuses, the insistence on state-wide school timetables and much more, to be significantly reformed. If kindergarten teachers were fast to adopt the new methods, primary teachers were slower. Some would argue that secondary teachers waited until the late 1960s to begin implementing the new teaching methods and approaches. The proximity of the secondary schools to public examinations and the labour market and the likelihood that secondary teachers were male and often bound to their academic disciplines, were possible retarding factors in that sector. More radical pedagogic reforms, especially in the period from the 1920s to the 1970s often occurred in private, and then non-government schools. The Dalton Plan was adopted for a time by many schools, including the Ascham School for Girls in Sydney. James Darling (1899-1995) of Geelong Grammar developed the school annexe, Timbertop, in the bush where adolescent boys were encouraged to develop a strong relationship to the outdoors, developing physically and morally in a healthy atmosphere, making considerable physical demands of themselves. Semi-religious groups such as the Theosophists, and Anthroposophists, the latter with their Rudolph Steiner schools developed alternative forms of education. In the 1970s there were waves of community based alternative schools, some of them responding to the de-schooling movement, where classrooms were to be abolished altogether. Most of these failed to survive the 1980s. The classic statement advocating progressive reform in pedagogy for Australia was provided by the publication of the World Education Fellowship conference of 1937, viz. Ken Cunningham ed., Education for complete living (1938). What follows is an brief list of teaching methods that followed on from the influences of the New Education and the increasingly influential progressive ideas of John Dewey and others in the United States and elsewhere. team teaching, teachers regroup students and capitalise on the special abilities and interests of particular teachers. Retreat from class method to a more tertiary approach. teaching machines, from primitive individualised instruction based on pathways through right and wrong answers to computer assisted, sometimes individualised instruction with complex software. Not all these variations of new teaching methods are used or adapted in the original spirit of progressivism. The older pressures towards standardisation, efficiency, specific learning outcomes and the development of assessment practices hostile to creative learning, continue into the twenty-first century. Many would argue that they have their place. One criticism of progressive methods is that they can disadvantage children from picking up ‘essential learnings’ (the basics of literacy and numeracy) if they begin with poor language and social skills. The two pedagogic approaches discussed here can be assessed by asking the questions introduced at the beginning of this entry. 1. What theory of how a child learns is being engaged? In the classroom or simultaneous method there is an aspiration to a more individual approach, as well as efficiencies in instruction by grading students on the basis of prior attainments and age. How much individual attention occurred depended on class size and the skills of teachers. The child as is less likely to be the passive learner waiting for direction as in monitorialism for example. For progressive and New Education methods the theory is that the natural creativity and curiosity of the child is engaged in learning. 2. What is the teacher’s role in the learning involved? For the unreformed classroom method, the teacher remains in charge of a group of students, responsible for taking them through a program. It remains easy for teachers to be didactic in approach. The progressive teacher steps back from up-front control and forcing the pace of learning. He or she is expected to be guide, mentor and friend. The work of the teacher is about creating opportunities for natural learning to occur. 3. What texts and apparatus assist the teaching? Standard classroom teaching depends on readily available graded textbooks, reading material and the like. Apparatus is desirable but often dependent on the resource capability of the school. More progressive teaching requires a wide range of texts and apparatus to stimulate children’s interests. This includes the broadest definition of ‘texts’, to include the world outside of the classroom and school. 4. What kind of school architecture is required? The school required redesigning if classroom instruction was to be introduced. The school became a collection of classrooms, usually the classrooms of pupils in the same grade being grouped together. However, the ambitions and therefore sites of progressive education are multiple. Immovable desks in classrooms restrain movement and new groupings. Spaces outside the classroom become significant depending on the educational activity. Ideally resource centres or libraries, drama rooms, art rooms, dance studios, music rooms, craft workshops and gymnasiums and more are highly desirable within the school. 5. What are the main social assumptions associated with these approaches to teaching? These vary. After the New Education an earlier major assumption—that children above all else, needed to be controlled—tended to be overtaken by visions of a better educated, more socially cooperative society. Children would be improved, could be more creative and more capable of responsible citizenship. Nevertheless, through to the present day schools develop with a variety of purposes that impact on pedagogy. Despite its 1950s origins, human capital theory remains influential. Schools have responsibilities in producing useful and productive citizens and workers. Sometimes progressive teaching methods are seen as a clever way of achieving such goals. At other times they are seen as wasteful, and variable in their outcomes. In recent times both neoconservative and neoliberal pressures have tended towards constraining teachers, making schools more accountable for their educational efforts, and linking the testing of students in literacy and numeracy to judging the success of broad educational programs in schools. Payment by results, introduced in England with the Revised Code (1862) was quickly taken up in the Australian colonies. Teacher salaries in public schools became dependent in part on the reports of Education Department inspectors who tested pupils in a limited range of subjects, usually on an annual basis. Campbell, C. & Proctor, H. 2014. A history of Australian schooling, Sydney, Allen & Unwin. Cuban, L. 1984. How teachers taught: Constancy and change in American classrooms 1890-1980, New York, Longman. Cunningham, K. S. (ed.) 1938. Education for complete living: The challenge of to-day, Melbourne: Melbourne University Press. Dunt, L. 1993. Speaking worlds: The Australian educator and John Dewey 1890-1940, Melbourne, University of Melbourne. Gladman, F. J. 1898. School Work, London, Jarrold & Sons. Godfrey, J. 2004. ‘Perhaps the most important, and certainly the most exciting event in the whole history of education in Australia’: The 1937 New Education Fellowship Conference and New South Wales examination reform. History of Education Review, 33, 45-58. Kalantzis, M., Cope, B., Noble, G. & Poynting, S. 1990. Cultures of schooling: Pedagogies for cultural difference and social access, London, Falmer Press. McCallum, D. 1992. Knowledges, schooling, power: Questions about the eugenics movement in Australia. ANZHES, Adelaide. Meadmore, P. 2003. The introduction of the “New Education” in Queensland, Australia. History of Education Quarterly, 43, 372-392. Rousmaniere, K., Dehli, K. & De Coninck-Smith, N. (eds.) 1997. Discipline, moral regulation, and schooling, New York: Garland. Selleck, R. J. W. 1968. The New Education, London, Pitman. Selleck, R. J. W. 1994. James Kay-Shuttleworth: Journey of an outsider, Ilford (Essex), Woburn Press. Turney, C. (ed.) 1969-1983. Pioneers of Australian education, Sydney: Sydney University Press. Turney, C. 1992. William Wilkins: His life and work, Sydney, Hale & Iremonger. Whitehead, K. 2003. The new women come along: Transforming teaching in the nineteenth century, Sydney, Australian and New Zealand History of Education Society.